Many thanks for tidying up and organising the comments made in the tweets as it was an especially difficult day for Twitter, for Tweetdeck as well as for our transcript aggregator! This afternoon’s #ELTchat was on a topic that I thought would be a difficult one to discuss. Before the chat began I tweeted that I wasn’t sure that I had much to say on the topic and would maybe just lurk in the background. Fortunately, everybody else’s comments inspired me and I managed to join in! You can now find the transcript here. How do you deal with fossilized errors and help students improve their accuracy? We started off by discussing what is meant by “fossilized errors”. Some made the distinction between an error, a mistake and a slip and it was mentioned that fossilized errors could actually be either of the first two. Errors were not limited to grammar and pronunciation, although these seem to be the most common types. • A mistake that recurrs despite constant correction. Some specific errors common to students from different countries were mentioned, such as the use of “I have 20 years” to talk about age. We also came to the conclusion that young learners did not have fossilized errors – yet! We tried to come up with ideas about why errors become fossilized. What actually causes fossilization? • Lack of motion (the reason for other types of fossilization). • When students realise they can make a mistake and be understood, it can become fossilized. • Biological, social-affective, cultural, pedagogical, cognitive and environmental perspectives of a language can lead to fossilized errors. • Lack of motivation to correct oneself. • Lack of noticing and discovery and too much presentation, meaning students don’t own the language. The conversation then turned to how important it is to do something about fossilized errors. Here are some of the more popular ideas, many of them questions to think more about and we didn’t have time to go into too much detail during the chat. • Do fossilized errors lead to international English? If so, is there anything wrong with making these errors? • If students communicate meaning, are fossilized errors important? • Students love being corrected and prefer teachers that do so. • It is impossible to correct everything – deal with what affects meaning most. • Self-correction should be fostered. • Students should reflect on and play with their mistakes. • Correcting every error can be demotivating. • Focus on common and impeding errors. There seemed to be a mixed opinion of how important it is to get rid of fossilized errors. Some chatters thought that communication was the main goal, especially when speaking, therefore as long as the listener could understand what the speaker wanted to communicate, there wasn’t too much of a problem. Others thought that accuracy was very important and that all errors should be corrected, not just those that impede communication. Everybody agreed that the teaching context was important in this question, and that different situations require different levels of accuracy. So how can we deal with fossilized errors in an effective way? Some great ideas were shared in this part of the discussion, and I’m looking forward to trying some of them out! • Recording students – you could play the recording, ask for general impression, give them the tapescript, have them correct their own or peer’s errors – lots of possibilities here! • Writing slows down and takes a snapshot of how learners really feel the language works. Better noticing opportunities. • Say “I don’t understand what you’re saying”. • Ask students to vary their fluency/accuracy during speaking tasks. • Soundcloud, Voicethread, Voxopop etc to record students. They could listen to themselves and choose good things they have said or errors they have made. • Use fossil journals in pairs – each student tries to get their partner to make the errors in their journal. 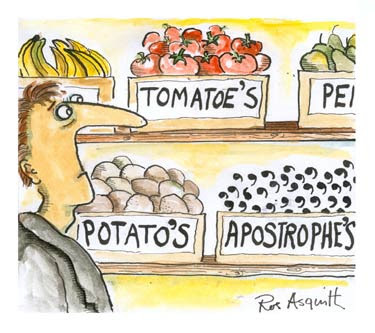 • Use humour to point out errors e.g. “I talk to the phone”, act out talking to your phone! • Take a fun/playful approach to error correction. • Ask students to actually make mistakes for short periods to help master the accuracy/fluency control. • Laughing at our own mistakes can work wonders. • Bring in a guest (who ideally doesn’t speak L1) for students to interview. They may not understand the “fossils”. • Snakes and ladders or other games. Lots of thing to think about and some interesting techniques to try out. Next: Next post: What would you like to talk about on Wednesday March 2? Thank you for this insightful primer of the causes and possible responses/solutions to fossilized errors! While I tend to lean heavily toward videotaping as a vital first step so the students can see their own errors with their own eyes and ears, you have detailed many practical steps that can and should follow. I’ve found that having students transcribe their presentations – and correcting the errors they have found – is a powerful technique. I often decide to emphasize two or three “good mistakes” /fossilized errors per recording to avoid overwhelming the student. Your list has also given me some additional tools to use in the classroom. Thanks!